With temperatures are dropping, appetites seems to grow larger as well as a hankering for comfort foods. 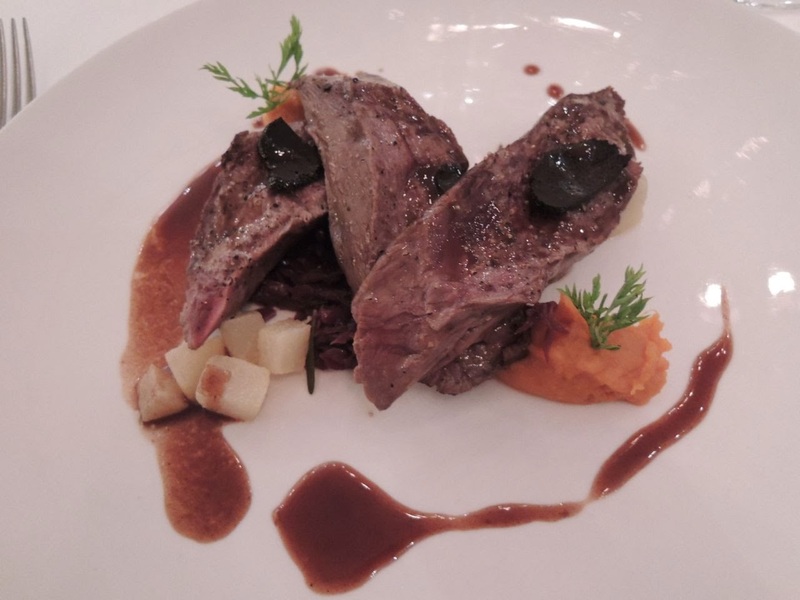 Chez Patrick in Wan Chai has released its winter menu with dishes perfect for the chilly weather. 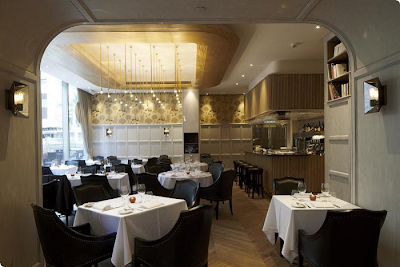 Patrick Goubier, executive chef of Chez Patrick says he was trying to create a menu that was "reminiscent of homemade comfort foods, and brings memories of snowfalls and fireplaces back home". 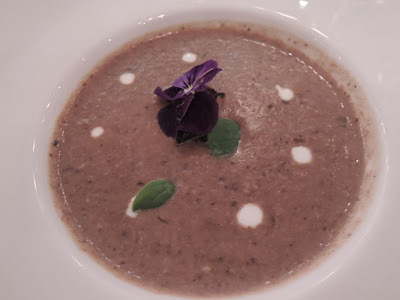 For starters there's the creamy chestnut and wild mushroom soup. It smells creamy and more mushroomy than chestnut, but never mind -- it immediately warms you up. 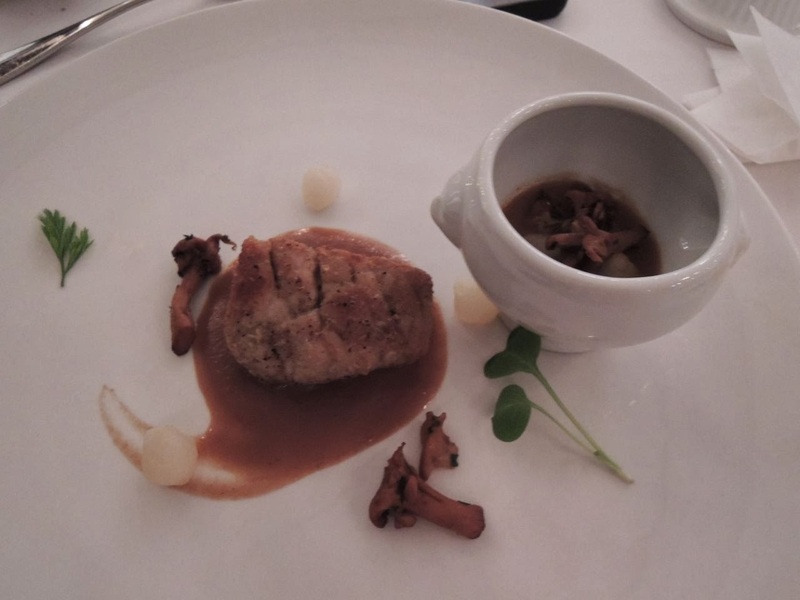 Other starters include warm crab meat and green onion cake with bouchot mussels sauce, and the veal sweetbread, pan fried baby onions and chanterelles with a creamy Brittany Kerisac cider sauce. Have a hearty main course in the form of venison fillet, seared, resulting in very tender meat complemented with Merlot sauce, Burgundy truffle, along with comfit of red cabbage and pear. For seafood lovers there's the pan seared John Dory fillet and king prawn, and a sauce made from a bouillabaisse from Marseille. Other dishes on the menu include comfit leeks and five cheese tartlet, comfit duck leg sauce, and gratin pumpkin puree in cocotte and emmenthal cheese as a side dish. Don't leave the restaurant without sampling the desserts. There's the mandarin orange creme brulee, and a flavourful chestnut and croizet cognac tiramisu with caramel apple sauce to indulge in. Chef Patrick, we already have visions of snowflakes and warm fires... bring it on!